This is one of the easiest DIY Garage Gym builds I have completed, and one of the most important. I know a lot of guys like to build their boxes in a slant (kind of like a pyramid with a flat top), but I prefer to keep my DIY projects easy. People build it that way so you don’t catch your shins on the box, and for plyometric purposes. That does make sense, but I jump higher than the box and land on top. I do not jump at an angle forward and just barley make it to the top…and neither should you. 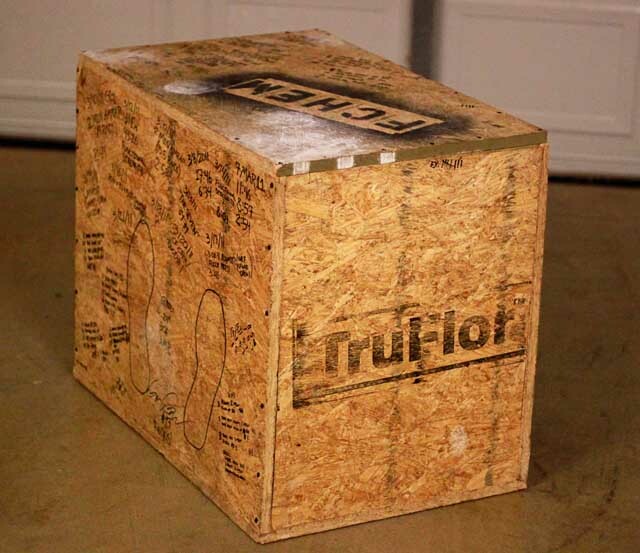 A rectangular box is good practice for keeping good form for a box jump. Jump. Land. Full hip extension. Land. Building it my way not only saves you a geometric-math-problem headache but it also gives you a 3 in 1 box! Building a rectangular prism will give you three different sides to jump on that will be three different heights. This is great for different workouts and overall functionality. 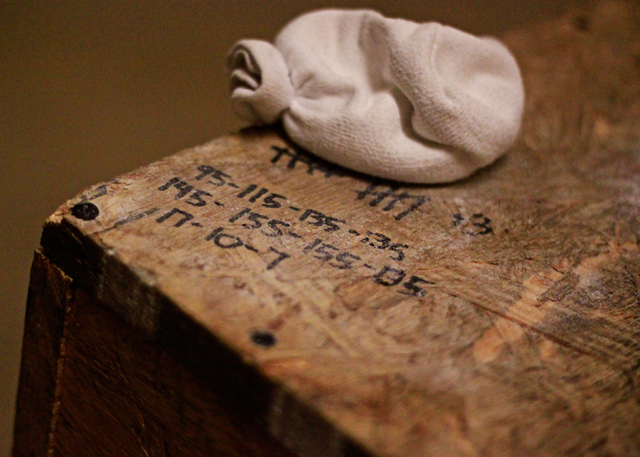 I do wish I made the length more like 40″ because I like to do really high box jumps sometimes. That is why you need to determine what you can handle and what you would want. You can make it as tall or as short as you want. 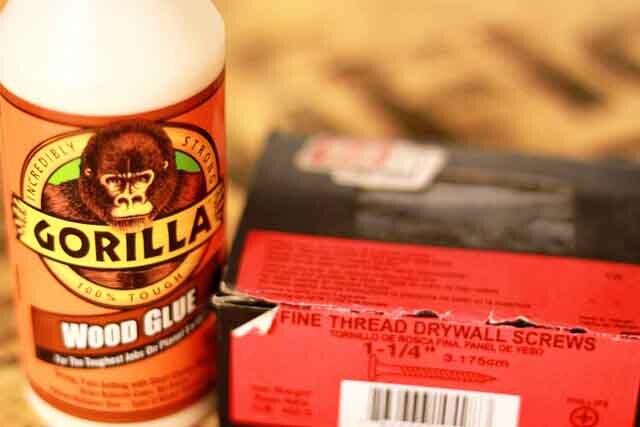 Anywhere wood will be touching wood put a thin line of Gorilla Wood Glue. I recommend starting with the base and two sides all touching. 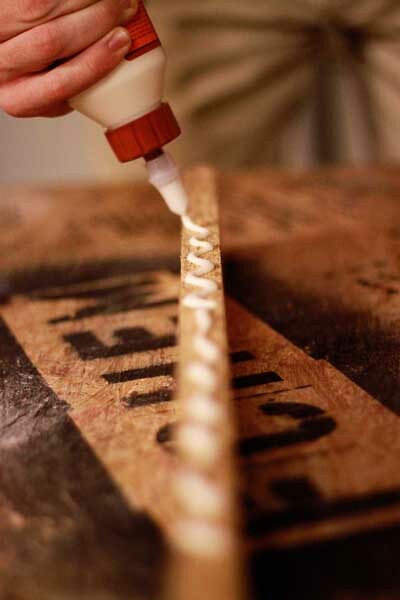 This will give it immediate stability and you can let it dry as needed. While putting it together, I would put a screw spaced about every 2-3 inches around the entire box. I tend to overkill things when building, but hey, if it falls apart you can only blame you so make it STURDY. Mine has withstood a lot of jumping and I have even used it as an apparatus for floor press with 250lbs. resting on it. Now you have built an item to add to your garage arsenal.